As businesses try to find ways to reduce operations costs, many are looking to cut costs in their maintenance and cleaning programs. While there are many ways to achieve this, businesses find it hard to identify the strategies which will truly cut costs and bring long-term savings. Some choose to invest less in products and equipment, ending up with higher labour costs when they could’ve easily cut costs with automated systems and advanced equipment such as industrial sweepers. Some mistakenly buy products and equipment that are supposed to enhance cleaning efficiency but end up with little to no ROI. Facility managers need to explore strategies that balance both acquisition savings and worker productivity. The importance of taking time to determine how many hours and hands it takes to clean and maintain a building is often overlooked. But knowing these figures will point out where time and money are potentially being wasted, and more importantly, where they can be saved. To achieve this, you’ll need an evaluation of your facilities’ priority areas, cleanable square feet, scope of work and cleaning frequency minimums (e.g. 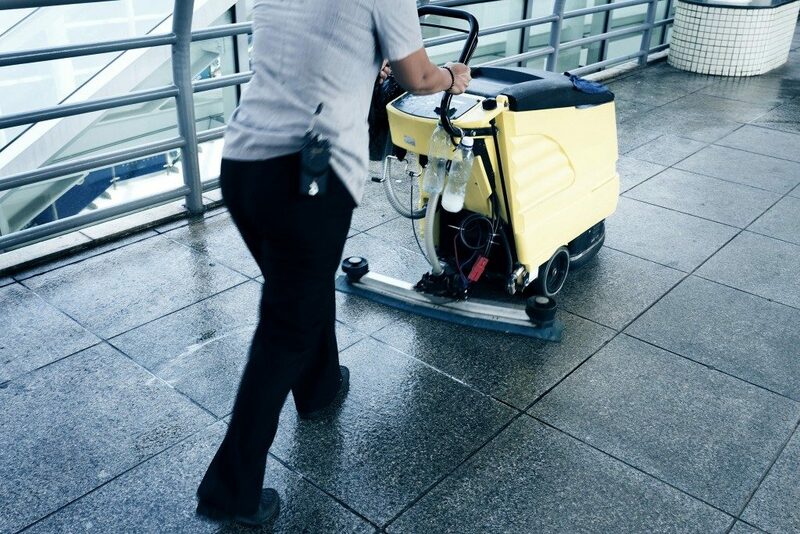 high-risk areas such as restrooms and entryways should be cleaned more frequently, while low-risk areas such as office cubicles may allow for reduced frequency). It also helps refer to established standards such as ISSA’s 447 Cleaning Times or APPA‘s estimates on determining the necessary FTEs to establish acceptable cleaning rates for your facilities. Your business’ entire cleaning and maintenance program can be significantly improved by reviewing and changing maintenance processes and procedures. The procurement of low-priced rubbish liners, for example, often results in workers compensating for the product’s poor quality. Maintenance staff often end up using a larger, more costly bag or use the double-bagging approach, resulting in more consumption and waste. Another good example is the use of jumbo toilet tissue rolls in an effort to increase capacity and lower costs. Jumbo products are not user-friendly, resulting in more consumption, waste and dissatisfaction. With the development and refining of multi-purpose products, most facilities can be cleaned daily with only two to four cleaning products. This enables businesses to consolidate products, reducing the need to acquire, manage and train people on the proper use and storage of specialised cleaners. Consequently, staff can be more productive and maintenance crew may benefit from enhanced safety. Aside from eliminating redundant products that are marketed at a higher value for their supposed USPs, businesses can decrease the need for multiple vendors and payment for shipping and delivery. Staff education is crucial to enhancing processes and cutting costs. Once you’ve decided to implement new processes, staff have to be trained to ensure that the desired result is achieved. Training, manuals and videos, monitoring and continual reinforcement of new methods will help ensure compliance among all parties and that key persons are doing maintenance and cleaning tasks properly. As with any business, increasing profits requires cutting costs. But a comprehensive analysis has to be done to ensure that budget cuts lead to actual savings instead of costly problems in the long run. With maintaining facilities and equipment, especially, it is important to evaluate a company’s requirements first before deciding on any changes in products and processes.